Creating a great outdoor space for entertainment can be a little daunting especially when you don’t know where to start, but with a little planning and creativity you can create your own garden wonderland that the whole family and friends can enjoy all year round. Garden specialists Oeco Garden Rooms have many years of experience creating bespoke gardens for their clients throughout the UK and abroad and give us their top tips on creating the perfect garden for entertaining. Having the right garden layout is key to creating an entertaining space not only during the summer months when the flowers are in bloom but also the winter too; this is where you will see the bare bones of the garden and if the layout is not right it can look bland and untidy very quickly. Hedges and raised flower beds are great ways of adding structure to the layout of the garden, creating designated areas for different activities that can be repurposed for different times of the year. There is a plethora of choice when it comes to summer flowers, but some of the more popular types are Gloriosa Daisy and Peonies. Gloriosa Daisy (also known as Black Eyed Susan) has a bright yellow and orange petals with a deep brown centre. It can grow up to 3.5 ft and can survive cool temperatures well. Gloriosa daisy can attract butterflies, bees and even hummingbirds into the garden. 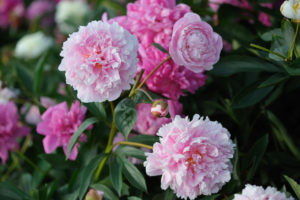 With its beauty and fragrance, peonies are a great summer flower. They can live for over 100 years with very little maintenance as it can survive in a cool weather climate. The secret of having a long life and blossoming peony is in its preparation so read up carefully before planting. Adding seasonal colours such as red and white in the winter months will make the garden more inviting; flowers such as Hellebores are a great choice because they flower between late winter and early spring adding colour at a time where the majority of plants and shrubs have died off. Fir trees are a great choice for any garden. They are evergreen and require very little maintenance, but they can grow tall so make sure that you plant a miniature species. Colourful garden furniture is all the rage at the moment and can enhance the natural beauty of any garden. Using folding furniture means that you can easily move it or store it away if the weather turns for the worst. 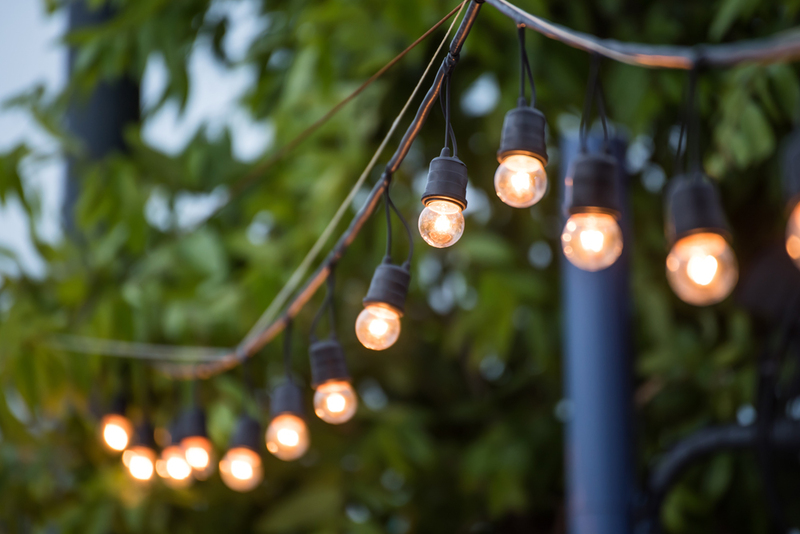 Fairy lights and lanterns are a great way of creating light in an outdoor space and can be hung on trees, draped over bushes or hung from outdoor structures like sheds, garden rooms and decking. Solar lights are also a popular choice and can be used to light up walkways and patio areas. For those on a budget, there are plenty of DIY decorations you can make including tying ribbons to tree branches, hanging bunting around the garden or even painting the garden fence or shed a vibrant colour to make it stand out. Many people give the garden a miss at night when the temperature starts to fall, but adding a heat source is an easy and cheap way of providing heat in the garden all year round. 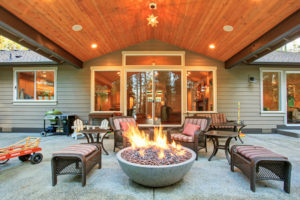 Patio heaters and chimera’s are popular choices, but building your own fire pit is a cheap and easy way for family and friends to gather around and enjoy when entertaining.